These days, more and more of us are driving. Some of us do this for a good reason – we have jobs that are far away, sometimes even across state lines. Unless you live in the city, chances are good that you have to drive to your job, and the grocery store, and the doctor's office, and the mall, etc., etc. You may have had an old car that lasted longer than you thought it would, but it's finally died and now you are left with a choice to make: what kind of car do you want? This will determine a great deal about your purchase. If you aren't making a lot of money, a used car might be a better option for you. If you have a bit more to spend, financing a more expensive car (or even saving up and buying one outright) might not be impossible. 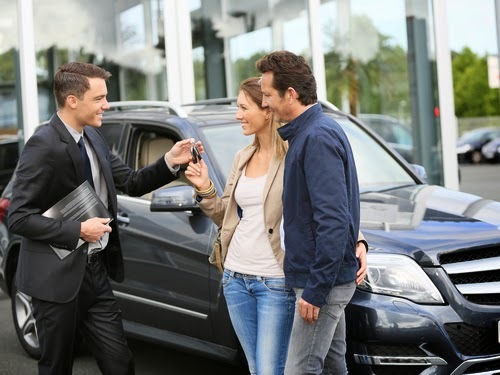 Consider your financial situation, calculate how much payments for prospective cars would affect your budget (make sure to include gas and car insurance in that estimate), and never, ever opt for something out of your price range based on a hoped-for promotion or similar. You can always trade in later for a shiny truck with Vogue tires! While it's a stereotype, there's a reason that there are a lot of trucks in the country and teeny little cars in the city. Having a monster truck does not help you parallel park in a tiny space or get good gas mileage on those clogged artery-like streets. On the other hand, the country not only has wide open roads, but also a lot of workers and farmers who need the cargo space and off-road capabilities of larger vehicles. Take the amount of inner-city driving you have to do and your parking situation (do you have a garage or private lot?) into account when choosing a vehicle. Even if you and your spouse are just thinking about having kids, you should take that into consideration when purchasing a car. After all, vehicles are long-term investments that can last well over a decade, at which point you may need more than a two-seated sports car. Of course, that doesn't mean that you need to invest in a minivan! You can always choose a sporty four-seated coupe or perhaps a practical SUV. No matter what you choose, make sure that it is appropriate to your budget, lifestyle, and working situation.